Audi will be taking orders for the new Audi TT in the summer, for autumn arrival. 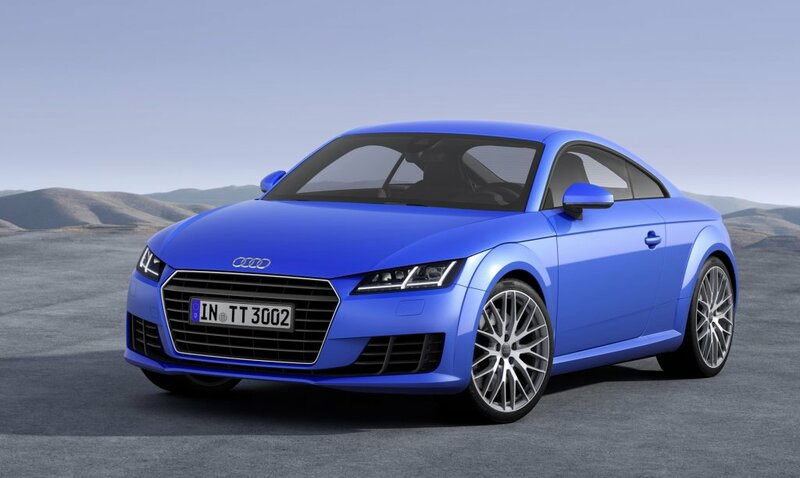 The TT and the Audi TTS were both unveiled at the Geneva Motor Show. This is the third generation of the popular sports coupe and Audi describes the completely revised model as ‘captivating’. Both the TT and the TTS will be available in a range of four-cylinder petrol and diesel engines, ranging from 184bhp to 310bhp. Start Stop is standard. The launch model will be a manual, front wheel drive 2.0 TDI (diesel) 184bhp. Audi says the car can accelerate from 0-100kph in 7.2seconds and has a top speed of 235kph. CO2 emissions stand at 100g/km, attracting €180 annual road tax. This, Audi says, is a ‘new record low level in the sports car world’. The Audi TT will also be offered in quattro permanent all wheel drive. Audi again has gone with the ‘less is more’ mantra for the interior of the new TT, with ‘purist lines’ underscoring ‘the lightness and the uncompromising sportiness’ of the car’s interior. The instrument cluster in the TT is fully digital and can be switched from ‘classic view’ which has the speedometer and the rev counter in the foreground to ‘infotainment mode’ where the instruments are smaller. Seven new hues are among the eleven exterior colours which will be available. Drivers will have a choice of three interior trims. Audi’s Prof Dr Ulrich Hackenberg said: ‘The Audi TT is the epitome of an authentic design icon and a top-performance driving machine. The new Audi TT is expected to go on sale this summer. Irish prices and specifications will be announced closer to launch.